The third period results for February are in, and this is definately the closest competition we have ever had. With only a 4 point difference between all 3 teams it is still anybody's game. Also attendance is amazing. We had our first 21 player tournament, and the smallest number was 15 players. The more people who play, the more points are awarded, so let's keep this trend going. Thanks to a 3 place win on Tuesday night, the Boozers have maintained an early lead with 9 first thru fifth place wins by TrumpinJoe, Nobisquit, MrChaps05, Mcrissinger, JWK24, and Johnny Oak. Holding on to second place with impressive placings by Sandtrap777, GmaJudy, Hozzer44820, and Moxie Pip who finished first through sixth in 4 out of 5 tournies for team Hungover. Although there were strong showings by Phoenix Maya, Tom905, Brkn80, Oriholic, Mischiff, and Chelle867, Team Big Stack Bully Busters stayed in third place. When asked, Captain Chelle was too busy taking care of rescued horses to make a comment. The fourth period results for February are complete, and the race is starting to widen out for the contestants. With just 9 games left in this month, there could be some come from behind winners. Once again the attendance is the best we have ever had. The more people who play, the more points are awarded, so let's keep this trend going. Moving into first place with an extremely strong combination of wins by Sandtrap777, GmaJudy, Hozzer44820, Effsea, and Grade b who all finished first through sixth in all 5 tournies for team Hungover. Also showing an impressive collection of wins by Phoenix Maya, Tom905, Oriholic, RoyalRaise85, and Chelle867, Team Big Stack Bully Busters jumped into second place. Falling from first to worst, the Boozers now find themselves in third place despite one first place win by Mtnestegg and contributions by Mcrissinger, and Johnny Oak. When asked, Captain Johnny said, "No angry Beaver with an overbite is gonna scare me." Haven't figured out how to attach the PDF yet. When I do I will supply that as well. The fifth period results for February are in, and for 2 teams the race is still very tight. Because of the short month there are only 4 games left, so there could be some bumping and shoving towards the finish line. Once again the attendance is the best we have ever had. We set a new Drunk Tank record with 24 players in a single tournament. Some of the other mega-clubs may scoff at that, but that is nearly 1/4 of our total membership and it's pretty darn good for us, and the more people who play, the more points are awarded, so let's keep this trend going. Bullying their way into first place with an impressive collection of wins by Mischiff, Tom905, JerseyRon, Brkn80, and Chelle867 who all finished first through sixth in all 5 tournies was team Big Stack Bully Busters. Also showing an extremely strong combination of wins by Moxie Pip, Morganhell's, Hozzer44820, Effsea, and Grade b, Team Hungover slid into second place. In complete dispair, the Boozers still find themselves in third place despite wins by Mtnestegg, TrumpinJoe, and Johnny Oak. 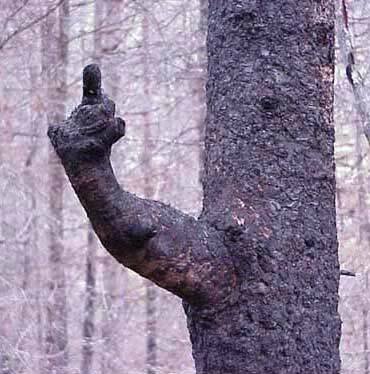 When asked, Captain Johnny simply began to wave his angry oak fist in the air (see picture below). That's what I did, but it didn't work for me. Perhaps some priveledge issues? When I look at the bottom it says the only permission I have is to post in the forum. How can I get permission to make attachments. Do you see the attachment box? Your PDF file is on your computer? I swear those are the buttons I'm using, just when I hit them it doesn't do the upload. I hit browse, I find the file on my computer, the file name and location appears, but then I hit send and the box clears and nothing happens. Maybe I will send it to Faery Tats and see if she can do it. If she can then there is something wrong with my profile. Nope - Every time I do it I get a message that I have exceeded my 0KB limit. No big deal though I will just leave the attachments off on future posts. The important info is in the post. If we ever do get on skype together though maybe we can figure it out. Man it was a really close race last month, but now it's time to start a new season. As you may know for the last couple of months we have been running a friendly challenge to make the games more interesting in the Drunk Tank. This month we would like to continue that tradition. For March we will once again have three teams who will be playing for top points and bragging rights. Anyone who finished in the top 24 from the prior month and had 5 or more games will be qualified to be added to the teams. For those who didn't, please stop in and play so you can be qualified for next month's Challenge. As usual, here are a few suggestions and rules to make it fair to everyone.. This is a fun challenge and a friendly competition...NO ganging up on opposing members OR taking it easy on your own members. Play as you normally do and at the end of the month after the final game is played the points will be tallied to see which group gets bragging rights. Rule 1 – The top three players (from the previous month) will be assigned as Captains of their teams and will get the honor of naming that team. Rule 3 – The Captain of the winning team will receive 8000 chips to distribute to their team members. Second place team will get 1600. Third place will get to lick the frosting spoon after the cake has been decorated. At the end of the month the teams will be reassigned by player position and the first 24 players who have the minimum number of games (usually 2-4) will be added to the new teams (unless they opt out). Good luck to all three teams and hope we can have another close race this month. The first period results for March are in, and one of the teams has decided to take this competition very seriously. However, it is very early in the contest, and there could still be some come from behind winners. Once again the attendance is the best we have ever had. We are curently averaging about 20 players per night. For a club that used to host single table nights, this is quite a jump. Leaping into first place with an extremely strong combination of wins by Jordan2652, JerseyRon, EasyChips4U, JWK24, Buzzliyear, and Grade b who all finished first through eighth in all 5 tournies was team Shot Chasers. Allthough there was an impressive collection of wins by nearly every member of the team, including Phoenix Maya, Effsea, Morganhell's, Mtnestegg, Sandtrap777, Moxie Pip, and Johnny Oak, Team Boozers was only able to land into second place. In this the first period of the month, the Big Stack Bully Busters now find themselves in third place despite point contributions by RoyalRaise85, Oriholic, TrumpinJoe, Tom905, Hozzer44820, and Chelle867. When asked, Captain Chelle said, "Remember the Alamo." I think this was a reference to last month, but not quite sure. The second period results are in for March, and one of the teams has seen an incredible come from behind effort to take over first place. However, it is still early in the competition, and the positions are still up for grabs. I can't say enough about the attendance. We are still averaging about 20 players per night. That means that there are 6-8 players getting scores each night. That is amazing, and thanks go out to all for this achievement. Slipping quietly into first place with an extremely strong combination of wins by Effsea, Mcrissinger, Sandtrap777, Moxie Pip, and Johnny Oak, who all finished first through sixth in all 5 tournies was team Boozers. Allthough there was an impressive collection of wins and contibutions by JerseyRon, EasyChips4U, JWK24, Buzzliyear, Buzzonbi, and even an initial placement by Captain Mischiff, Team Shot Chasers fell into second place. For the second time this month, the Big Stack Bully Busters still find themselves in third place despite point contributions by Oriholic, TrumpinJoe, Tom905, Faery Tats, and Chelle867. When asked, Captain Chelle broke into a song and said, "We have only just begun." In all fairness, however, it is true that she had her eyes closed and her headphones on when I asked her. shouldn't have to tough of a time chasing them down. Eff... Can't or won't? 'Cause if you caught a ban, I'd love to see why. Yeah. You're better than I am... I'm gonna keep it up. Hell. You seen all of the 5 posts the past few days? Someone needs to keep it going. Sorry these results for the third period in March are a little late, but if you had the weekend I had, you would understand. We did see one of the teams retake the lead for first place. However, there is still time for anyone to win this. These are the scores for up to Day 15, even though there have been more games played since then. I will try to be more punctual from now on. Attendance is stil extraordinary and getting better. Over 25% of our total enrollment are playing in our nightly tourneys. If the mega-clubs could get that kind of percentage they would be thrilled. Jumping back into first place with 3 first place wins by Jordan2652 and additional contributions by JerseyRon, JWK24, Buzzliyear, and Grade b, who all finished third through seventh in all 5 tournies was team Shot Chasers. Allthough there was an impressive pair of first place wins by Mtnestegg and a collection of contibutions by Morganhell's, Sandtrap777, and Johnny Oak, Team Boozers fell into second place. Still waiting to make their move, the Big Stack Bully Busters find themselves in third place despite point contributions by TrumpinJoe, Tom905, and Faery Tats. When asked, Captain Chelle had her dog chase after two cats that looked like shot chasers. My My My all is right again. Here they are, the results for the fourth period in March. We did see one of the teams do a little shape shifting to get them closer to the rest of the group, but there is still time for anyone to win this. Attendance still rocks !!! Can't say enough about the support and the people playing in the Tank. Holding on to first place with 1-2-3 place wins by Grade b and additional contributions by JWK24, Buzzliyear, Easychips4U, and Mischiff, who all finished ITP in 4 out of 5 tournies was team Shot Chasers. Allthough there was an substanstial collection of contibutions by Morganhell's, Moxie Pip, Mtnestegg, and Effsea, Team Boozers remained in second place. After a shrewd and calculated team change, the Big Stack Bully Busters still find themselves in third place, but are benefiting from scores from Sinman64, Brkn80, TrumpinJoe, Tom905, Hozzer44820, and Chelle867. When asked Captain Chelle said, (well I can't tell you what she said).